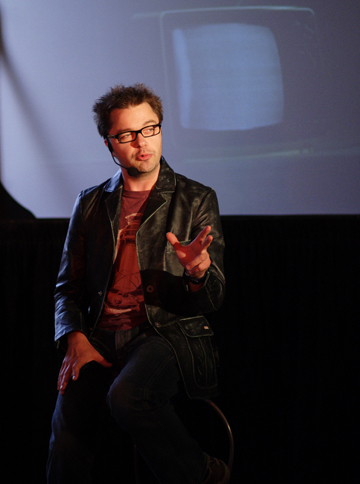 Jason Hildebrand is a professional actor, award-winning filmmaker, and communication coach. He has performed in theatre, film and television, and continues to tour the globe with his acclaimed solo performances including: The Prodigal Trilogy, Blue Like Jazz // Live, Life of David and Kingdom of Herod. Jason also works with film and theatre companies, organizations and educational institutions in various capacities throughout North America and Europe. Along with his extensive work on stage and screen Jason has developed, produced and acted in the multi-award winning short film The Prodigal Trilogy, a film version of Donald Miller’s New York Times best-selling book Blue Like Jazz. He has a number of projects on the go including: A new short film based on another one of his solo performances Kingdom of Herod. Release date – Christmas 2011. Jason has a degree in acting from the York University’s renowned theatre school in Toronto, Canada. He completed this after one year of theological study. Jason lives in Toronto, Canada with his wife and four children. He is part of the lay leadership at an inner-city church.